Taps come in many shapes, styles and sizes, yet the basin mixer tap has vastly became the most popular in recent years, it's stylish design has made it widely demanded for in the bathroom world, with an endless amount of design to suit any style of suite, they all vary in design yet they can all be installed in a similar way. Here at ThinkTaps we highly recommend hiring a professional, trained plumber to do the installation for you, but if you fancy a spot of DIY we'd be more than happy to dispel our knowledge on how the installation of a basin mixer tap is completed both swiftly and correctly. The first thing you should do is make sure you TURN THE WATER OFF, this can be done by turning off the stopcock or you may be lucky enough to have isolation valves, hopefully within arms reach of the tap. REMEMBER to drain your system of water after turning off the water supply, the last thing you want is a flooded bathroom when you're trying to complete what seems like a simple, easy task. You'll have to connect two flexible pipes to the bottom of your basin mixer, these two pipes contain your hot and cold water, we recommend hand tightening these pipes so you ensure that no harm is done to the internal thread. If you're installing a new basin waste, now would be the best time to do so. When installing into a one-hole basin use a threaded rod and nut, place a rubber O-ring on top of your basin underneath the mixer tap and place the moon shaped washer & brass gasket underneath the basin. When these simple steps are complete, you're ready to attach the basin mixer tap to your basin. Once the tap is in the hole, along with a flat washer or mounting plate placed over the threaded bars, you're able to slide the steel washer into place. 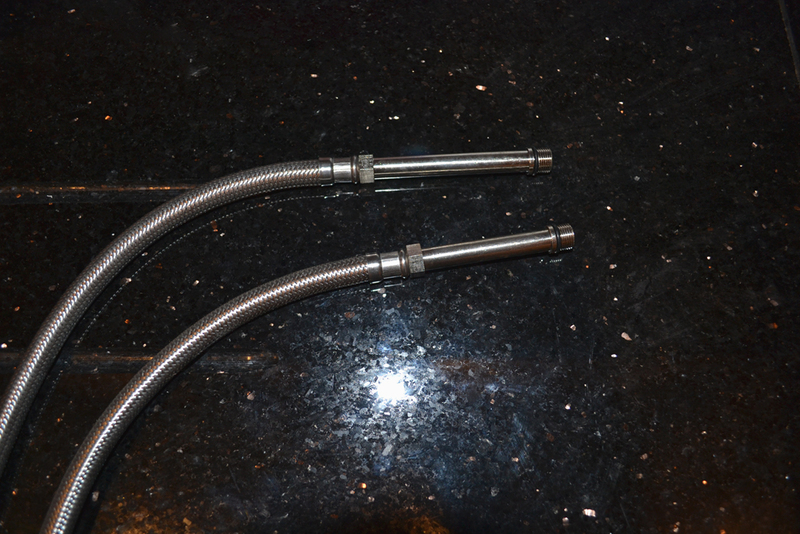 With all of the key parts of your basin mixer now in place, you can now tighten the nuts. This is the tricky part, the parts that you're going to need to tighten are in an awkward place. Just try to remember that with perseverance you'll succeed. A way to do this efficiently is to use a box spanner, it's a common plumbers tool designed for tasks like this, making the job much easier. Thank you for reading this article and paying a visit to the ThinkTaps site, we wish you the best of luck in any DIY you're faced with. We believe in making DIY easy and taking the mystery out of the perceived difficult tasks, check back regularly for new and informative articles! If you've seen our front page recently you'll probably of seen our HUGE Movember sale, we thought this was necessary, not just to give you even more amazing prices, but to raise cancer awareness. Stay posted, and expect pictures if we grow anything even half worth seeing! Want to learn the basics of ceramic discs and rubber washers in under a minute? Well check out our first YouTube video! There are many variations in style, size and colour of the bathroom basin, if you're not in the industry, a bathroom basin is what you are more than likely to refer to as a sink. The most common style of basin is the pedestal basin which comes in two parts, a basin and a pedestal. In this ‘five easy steps’ guide, us guys at ThinkTaps are going to guide you on the path of correctly installing your pedestal basin. The first thing you’ll need to do is prepare your taps ready to be fixed to the basin. 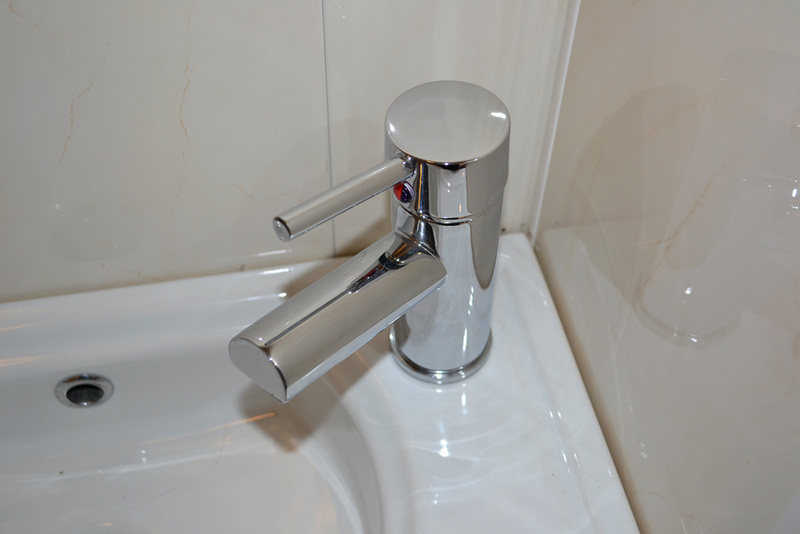 Your basin will either have a single hole for a mixer tap or twin holes for two pillar taps. 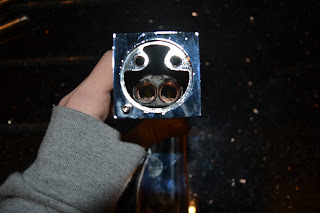 Install the tap connectors if possible. Doing this now stops you from having to install them after the basin is fitted to the wall where you’d find restricted access. Position the tap in its mounting hole with its washers. If washers weren’t supplied with the tap a cost effective alternative is silicone sealant, this can be used by spreading evenly on the base of the tap. Now you’ll be required to rest the basin on its rim and install the second washer onto its tail. 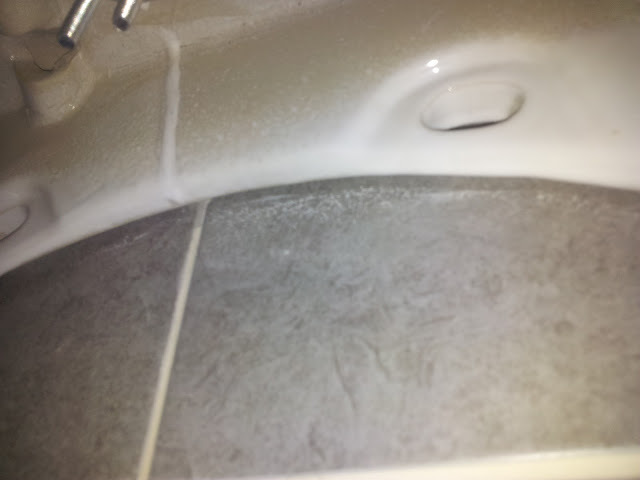 If you don’t have a washer silicone sealant can also be used here. 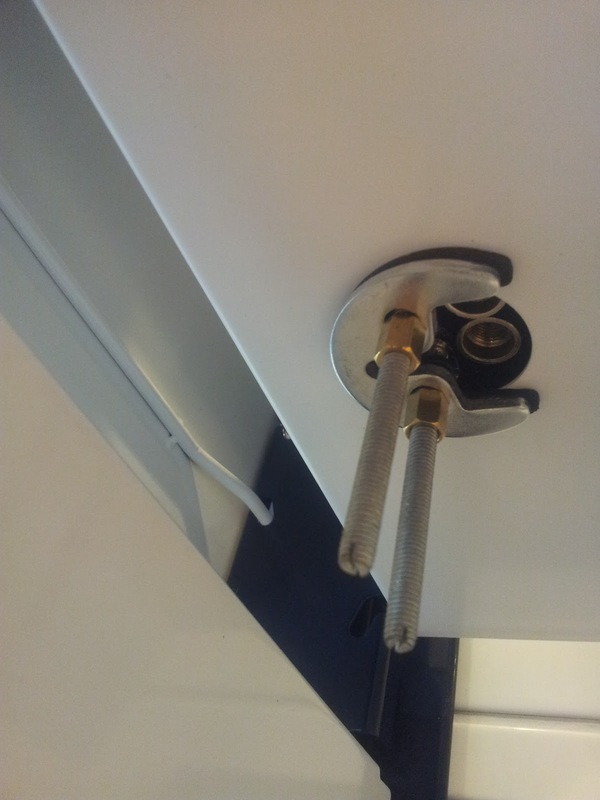 Hand-tighten the back nut to secure a firm fit, then finish off by using a cranked spanner to make sure the tap is clamped to the basin firmly. It is important for the waste outlet to be aligned correctly so that the integral overflow system works effectively. When installing a waste outlet you need to keep in mind that it has to be water-tight so installation using washers or silicone sealant is essential. 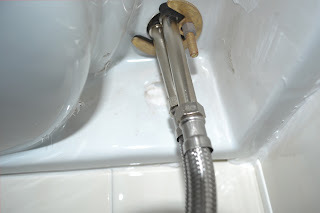 When tightening the back nut, make sure that the outlet is held in position, after this you will be required to install the waste trap, attach one to the end of the waste outlet and the other to the waste pipe. Now all of the essentials are attached to your basin, it’s time to check if your basin is level while sitting on the pedestal. 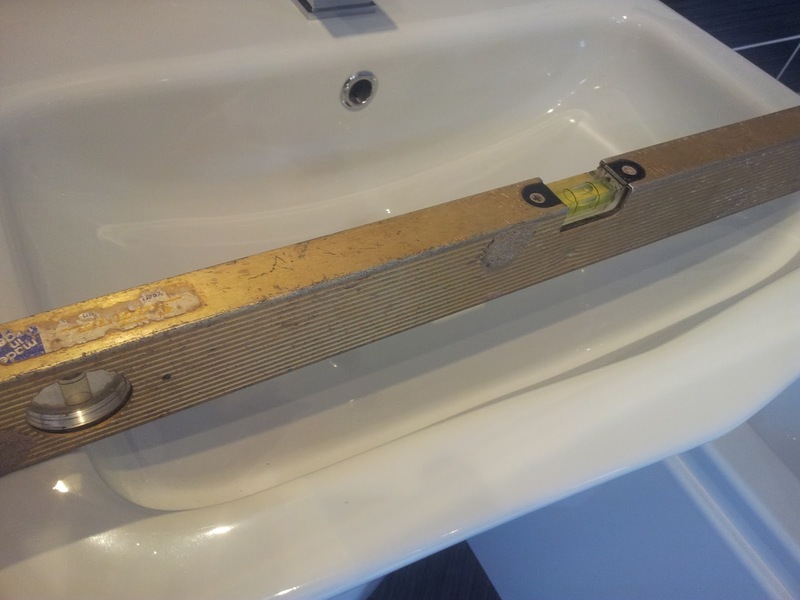 Simply use a spirit level, if there isn’t a flat surface on the top of your basin, putting a piece of wood on top and checking the level of the wood will give you an accurate idea as to how level it is. Mark through the fixing holes to give yourself an accurate guideline on where to drill, then remove the basin from the pedestal. At this point you will be required to drill two holes into your wall in preparation for the basin to attach. At this point you will need to insert plugs into both of the holes you have created, then carefully ease the basin into position, simply screw it into the wall and the pedestal to the floor. All of the essential parts such as bolts and plugs can be purchased as bespoke fixing kits. To finalize your installation, use silicone sealant or an alternative to fill in all of the crevices on your basin for added support. We believe in making DIY easy and taking the mystery out of perceived difficult tasks. Check back regularly for new and informative articles. For those of you not so in to taps and their internal workings as us here at ThinkTaps I'll start by explaining in brief the two terms. Ceramic Discs - Ceramic Disc Taps contain a cartridge within the body of the tap which comprises of two ceramic discs, each with two holes. 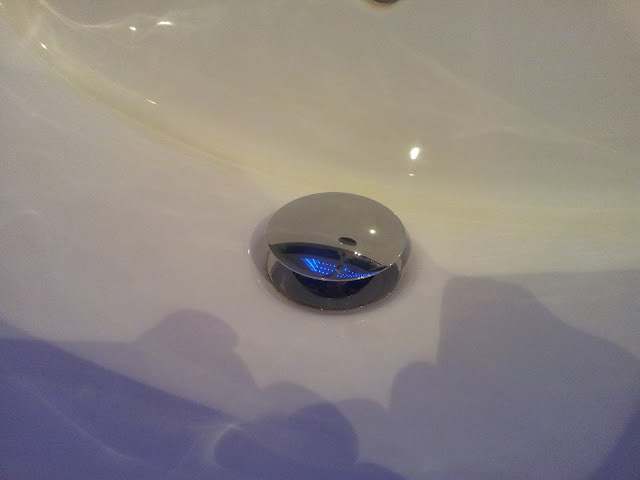 One of the discs turns when the tap is opened, whilst the other is fixed in place. When the tap is off, the holes in the discs are misaligned. As the tap is turned on, the holes in the discs line up to allow water to pass through. When the tap is fully open, the holes should be perfectly aligned. Washers - Nothing too complex and very much as the name suggests, a washer is indeed a washer, but made of rubber. So which should you be looking for when it is finally time to change your taps? As with all change, evolution and technological advancement, there will be more than one school of thought on this subject. There will be those that don't like change, those that for some reason have had a bad experience, perhaps not even related to the taps internal workings, and those that just enjoy flying in the face of the obvious. But, for the masses, the manufacturers that care about returns and guarantees, the testing houses that drum up comparisons and facts based on figures and tangible evidence, the results are almost resounding, that the evolution of Ceramic Discs in to the tap internals adds years, decades and even longer to the longevity of your taps. In short, washers are made of rubber and through repetetive movements and repeated friction, grooves and other surface irregularities are formed. Via these surface defections, pressurised water makes its escape and hence the 'dripping tap'. Ceramic discs on the other hand are exactly that, made of ultra hard components designed to resist wear for decades upon end, and that's exactly what they do! No surface irregularities, no grooves for pressurised water to escape and no dripping taps! So what will your choice be? Well based on the fact that most manufacturers still manufacture both types, albeit those with washers are usually lower priced, we'd have to say that it depends how much you expect to get out of your taps - and we're not talking litres now! Do you require a budget price tap and a quick fix? If so, any tap will do. If you're a planner and you want your taps to last and more than that, you've invested in their beautiful aesthetics, then ceramic discs are the way forward. Ceramic Discs vs Washers - contest? We don't think so! Time to give blogger whirl! Got me all emosh! Thought I'd expel some thoughts via blog and in the process, lend a small lesson in Chrome. Always nice to have one over on your mates in the old general knowledge stakes - I mean who knows when your next 'chrome specific' question is likely to be fired at you! So here at ThinkTaps, the girls in the office get to take our blogging in turn, so feel free to follow us if you want to keep up to date with our latest verbalisations on bathroom ware. Chrome...do you know the difference between the good and the not so good? Well, think of it in terms of a pass or fail of a very simple test. The finger print test! Do your chrome taps past the finger print test? To pass this kind of test, it's easy, if your chrome is the quality type! Simply wipe your finger on a piece of your chrome tap and note the finger print. Now gently wipe if off. Gone? good. Left a mark? Well that here is evidence of a poor chrome finish. Remember, not all chrome is the same. Here at ThinkTaps, we go the extra mile in the preparation of our taps and ensure at least a 40 micron thickness of chrome for that super shiny finger print passing test!